Ancoats history screen printed with Vic Square residents for Northern Art Carbooty! Last week saw Victoria Square residents and associated knitting group, ‘Nippy Knitters‘ meet Unity Radio’s team over on-site in their hanger space, where our own Northern Art Carbooty will take place this August Bank Holiday Sunday. 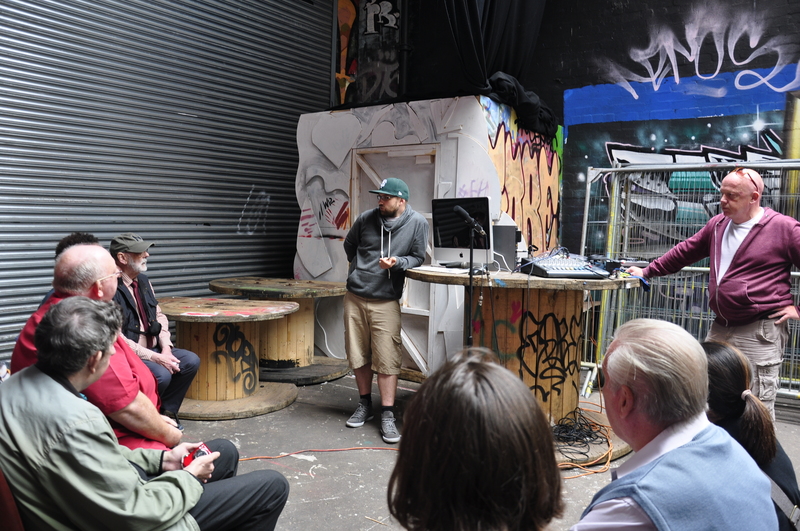 It was the first time for many of the local residents to step inside the Unity Radio HQ and find out all about not only its FM and on-line radio programme but also about its history, legacy and long-term engagement work for and with young people across the region. 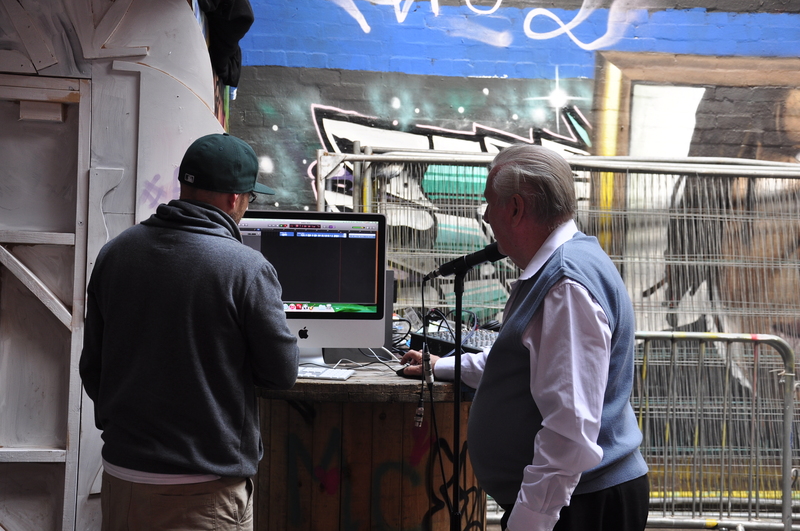 The Unity Radio team also set up a pop up recording studio in the hanger space so each of our Victoria Square residents could have a go at presenting. 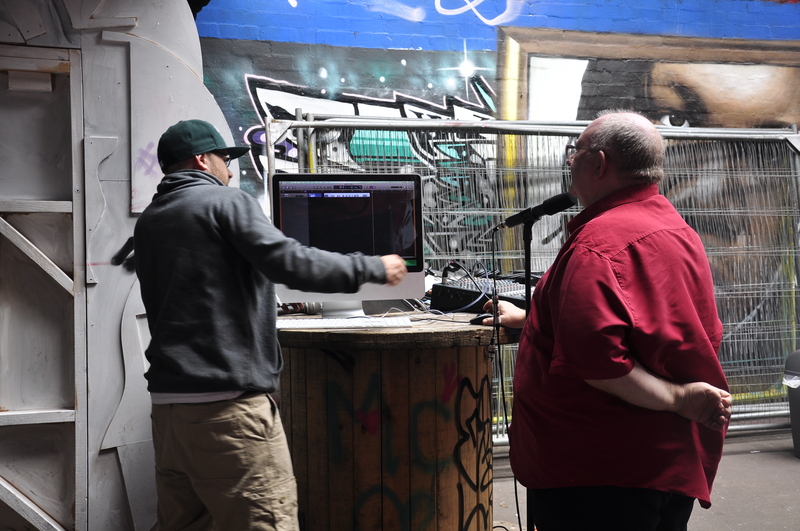 With everything from advert pitching to 1 minute raps, Unity Radio may of found themselves some knew radio recruits! 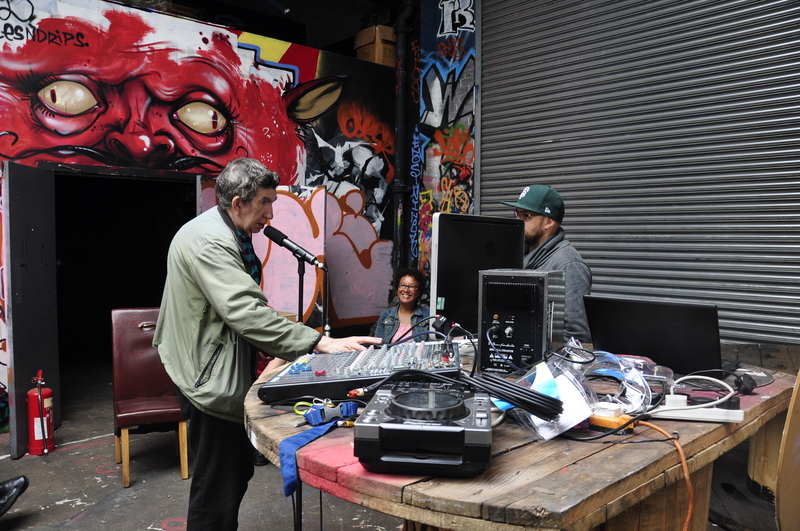 Victoria Square residents are keen to start their own internal radio station and Unity Radio are making plans to support this idea and turn an audio dream into a radio reality!